Happy Tuesday! If you were thinking it was already Wednesday (like I was until mid-morning when someone burst my bubble) – sorry! The good news is we made it through Monday & it is DIY DAY! That means I have some awesome, clean-living, do-it-yourself recipes to share! The beautiful thing about all of these recipes is that they are EASY (& arguably fun) to make, have effective cleansing properties, & reduce the toxins we are exposed to at home! 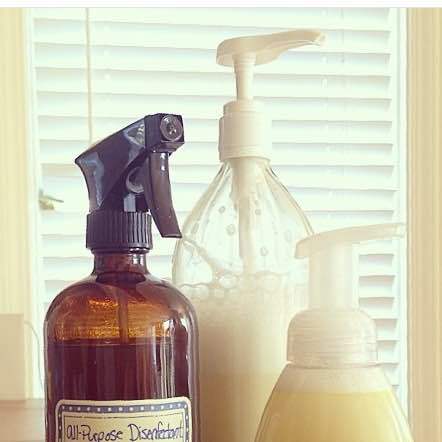 Instead of damaging the air we breathe & our water supply with the chemicals used in standard cleaning products – these DIY recipes use essential oils (from plants) that have been used throughout history & have lots of positive side effects (check out my post about essential oils for an overview). Mix water, vinegar & oils in spray bottle & shake before each use. All three of these essential oils are an excellent choice for cleaning bathrooms & kitchens. Lemon is great for tackling grease & freshening with the added benefit of mood elevation – it’s good to smile while you clean! Oregano & Melaleuca are powerhouse oils for combatting seasonal & environmental threats. Check out Part II: foaming hand wash & Part III: body wash for more DIY recipes! Contact me for more information on purchasing certified therapeutic grade essential oils. This entry was posted in Essential Oils, Wellness and tagged All-Purpose Cleaner, cleaning, DIY, essential oils, recipe by Kelly Ann. Bookmark the permalink.